It's perfectly normal to feel out of sorts, what matters is how we react, how we help one another. 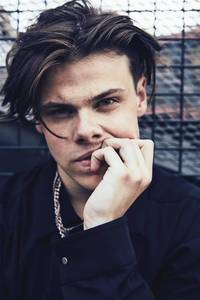 *YUNGBLUD* has been through dark spells, but with the help of those around him he was able to move forward. Returning to this period in his life, new single 'Kill Somebody' channels this darkness, while retaining some light at the end of the journey. A deeply important song to YUNGBLUD, the full video expands on these themes, one of his most personal documents yet.